Looking for a Tulsa Wedding Venue? STOKELY Can Help! A wedding is one of the most exciting and important events you will have throughout your life. So, it only makes sense that you do everything you can to make this special day exciting and memorable. When you partner with STOKELY as your Tulsa wedding venue, you can be sure you are investing in a great time! Stokely Event Center has over 3.500 feet of usable space that can be utilized in the way that best benefits your wedding or wedding reception. This gives our guests plenty of space to plan the many activities that accompany their special day. Whether you want to combine the space for your wedding reception and wedding or just need a great atmosphere for your rehearsal dinner, we can help! Aside from the great atmosphere provided by STOKELY’s unique décor, guests that utilize our event center for their wedding event will be pleased by all of the great features we offer. With our easy-to-use plug and play audio and video system, you will have everything needed to have endless fun. If you want to show a slideshow or make announcements through the loudspeaker, we give you everything you need! For some, no wedding is complete without the inclusion of an open bar. To help make your celebration more exciting, STOKELY allows you to bring your own beer or wine to ensure your celebration has everything it needs to be perfect. Need the services of a professional bartender so you can enjoy the event without being the night’s mixologist? Ask how we can help! 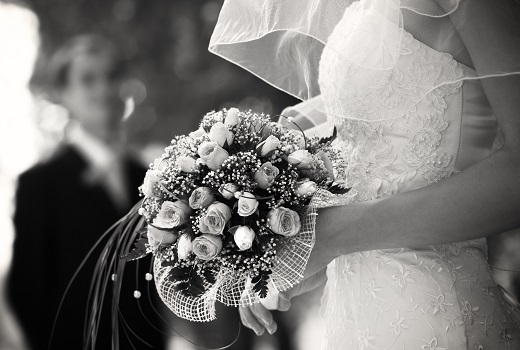 If you are currently looking for Tulsa wedding venues for your event, Stokely Event Center can make sure your special day is unforgettable. Guests will love the free-to-play games and a wide assortment of decorative signs. With the flexibility of catering in outside food and drinks, event menus can fit a variety of preferences. Our sound system, projector and screen are included for one great price to meet your audio/visual needs. If you are interested in reserving Stokely Event Center, please call us at (918) 600-4448 or complete our online request form. We can’t wait to be part of your special event!